Email newsletters and marketing are likely to produce your highest return on investment of any marketing medium. So why wouldn’t you want to send more? To send more, you’ll need to grow your email list, but email is only successful when those on your email list are engaged. View the archived webinar below as Jessica Best, Director of Data-Driven Marketing at Barkley, will explain the right way (and the wrong way) to grow your email list, from free tactics to paid campaigns, from quick wins to long-term strategies. She’ll also point out how to get your program in order before you grow it to make sure you’re getting the most out of each subscriber. Click here to view the archived webcast. You will need to be logged in to view the archived presentation. 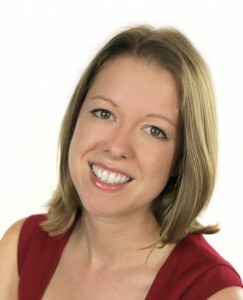 Jessica Best is one part massive email marketing nerd and one part permission-marketing evangelist. She’s stimulated ROI in customer- and data-driven marketing for a diverse clientele, including Dairy Queen, Spirit Airlines, Wingstop, Beauty Brands, Hostess, Water.org, Associated Wholesale Grocers, Farmland Foods, Hallmark Baby, Banfield Pet Hospitals, SelectQuote, and Boulevard Brewing Company, among many more. As an evangelist, Jessica also spread the good word of great email marketing from the stage. Over the last four years, she’s led trainings and spoken in front of audiences from dozens to more than 300, from Las Vegas to New York City to SXSW Interactive in Austin in 2013. In 2016, she joined the Barkley team as Director of Data-Driven Marketing, implementing the best practices she preaches for Barkley clients.